This past weekend has been great, and makes me all the more excited that today is still a part of that weekend. Sure it is the last long weekend of summer but I think we went out with a bang so I am not disappointed. My sister had been in town for a while and I was able to have her and my mom over for some breakfast before she took off to her next destination. So I woke up bright and early and headed off to the gym to get a good workout in to start my day, and then quickly headed home to shower up and start breakfast. It was just a short visit but it was nice getting to see her one last time before she headed out to say goodbye. After my sister headed to the airport there wasn’t much time to be bummed out about it because my husband and I were hosting a birthday party for a close friend that evening. Last week it was my running buddy and co-coach for the Gingersneezes run club’s birthday. 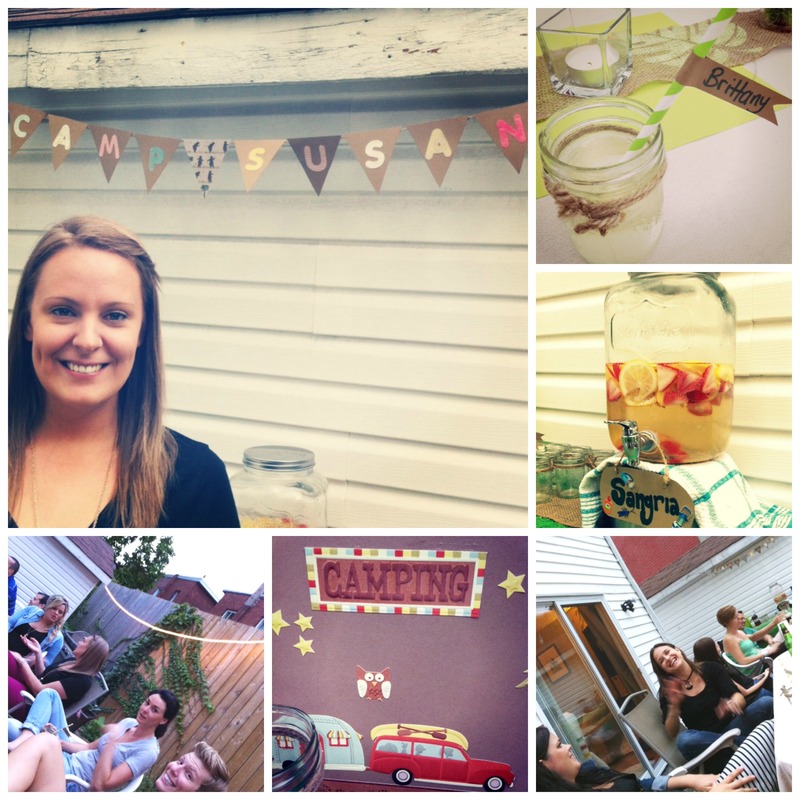 So this weekend all the friends got together to throw her a fun backyard bash. 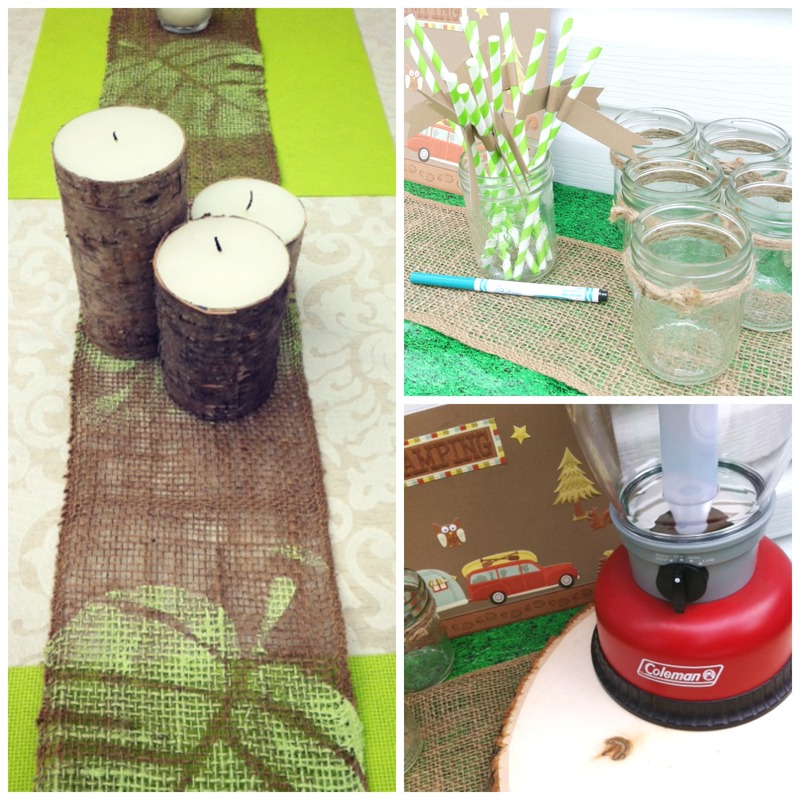 I really love planning parties so a couple months back I begged her to let me throw her a party once I got the go ahead I started pinning things on Pinterest like a crazy person. 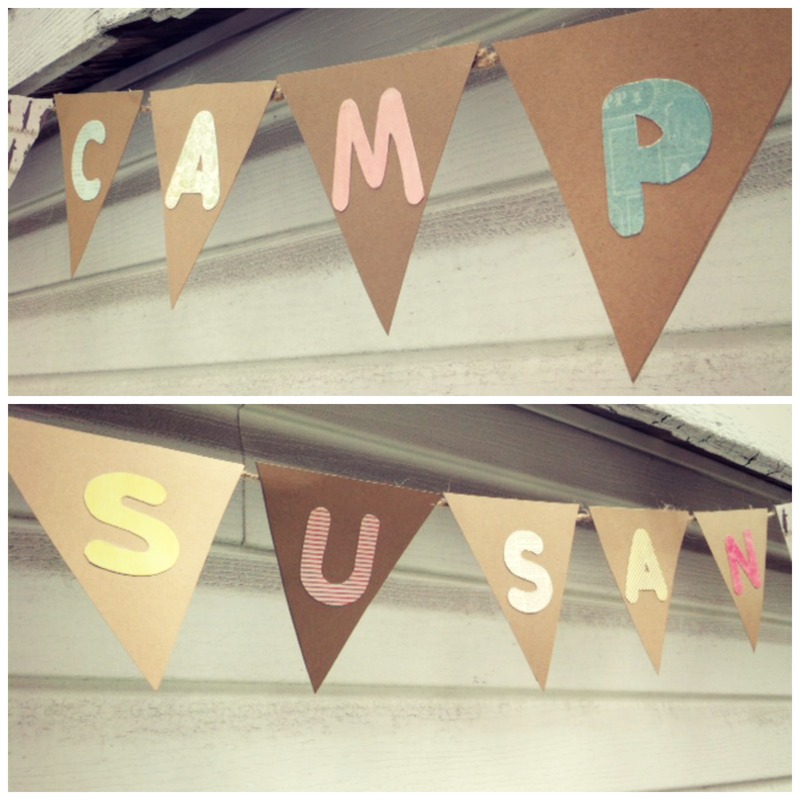 I picked the theme of Camp and went about making the party more grown up than the 4-6 year old birthday parties I had been seeing documented on Pinterest. Once the idea was nailed down it was just a matter of picking the food. As I have been trying to incorporate clean and healthy eating into my life I didn’t want to go off the deep end and just serve junk food for the party (i.e. hot dogs and pre-made burgers) so I flipped through my cookbooks and did what I could to healthify some “traditional” camping food. Instead of serving hot dogs and hamburgers we served flank steak and chicken, instead of the traditional twice baked potato stuffed with butter and sour cream I used Greek yoghurt, and we made sure to have a wide selection of salads for everyone to fill up on. All of that being said we did still have a cake, but it was a birthday and the way I figure it it is life and indulgences and treats are a part of that. The menu was a healthy balance between health and indulgence and I think it went over well, and all in all I think the party was a hit (if I do say so myself). 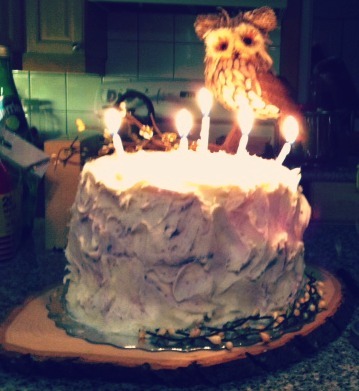 This beautiful cake was made by the talented Rachelle who makes one heck of a delicious gluten and nut free cake! thanks again Rachelle. After the party clean up took place it was time to relax. I just finished my Power phase at the gym and my body has been screaming at me to relax a little bit more so I welcomed a day of laziness. I went to the farmer’s market in the morning to stock up on food for the week and start my weekly meal prep, then later on in the afternoon I enjoyed the comical stylings of the movie “We’re the Millers”, which was hilarious. I am excited to use today to get in a nice long slow run and then hopefully finish up the on-line portion of my personal trainer’s course, with a little time left over to relax some more. I hope you are all enjoying your labour day weekend, and are all soaking in as much of the last weekend of summer as you can. This entry was posted in Food, General and tagged BBQ, birthday, camp, camping theme, friends, healthy eating, outdoors, party, party planning, review, weekend by healingginger. Bookmark the permalink. Thank you so so much for everything this weekend!! I loved it, and everything turned out so wonderfully! Couldn’t have asked for a better birthday!! So glade you had a wonderful time!